The latest radio from Ridgid seems to be almost indestructible. In a video released by Ridgid, they went all out in a series of radio abuse tests. They dropped cinder blocks on it, used it to break boards, ran it over with a truck, and even threw it off of a roof top. All of that and it still survived. There is not much information out about the new radio, but at the end of the video they do give us a little. From what they tell us, it looks like it will be the first jobsite radio that not only works with iPod's, but it also chargers them. It even has a remote control that will operate the iPod. This radio just won't break! 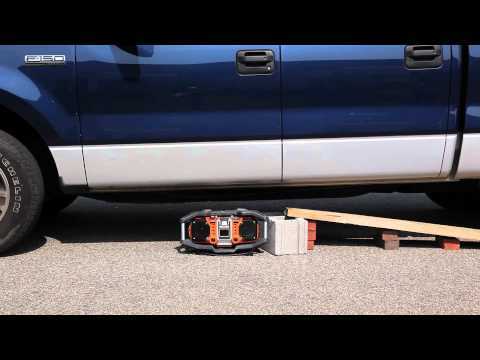 Here we have a demonstration of how sturdy the RIDGID Job Site Radio really is.